Umbria and her sister Etruria were the last of a kind. 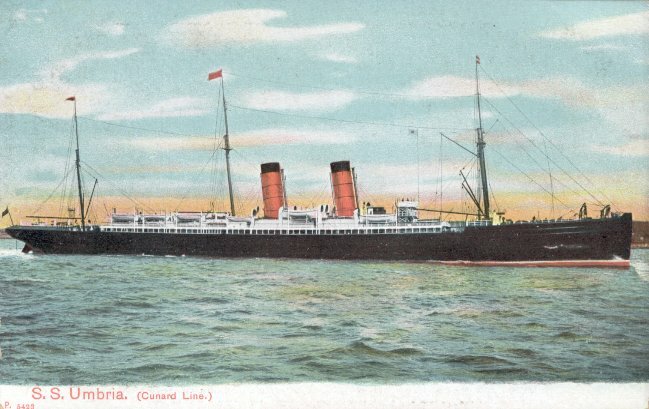 They were Cunard's last single-screw liners with auxiliary sail and the last single-screw vessels of any line to hold the Blue Riband. Umbria was built by John Elder & Co. of Fairfield. She was launched in 1884 and made her maiden voyage from Liverpool to New York on 1 November of that year. Although she vibrated badly at her top speed of 21 knots, she was said to be very smooth at her service speed of 19 knots. In May 1887, Umbria took her only Blue Riband, with a westbound record crossing at 19.22 knots. (She took the record from Etruria, which reciprocated by taking the record back a year later. Etruria also set two eastbound records, a feat Umbria never accomplished.) Umbria's fastest crossing in May 1892 was 19.57 knots. In 1899, Umbria was overhauled, with square rigging remaining only on the foremast. Another overhaul in 1892 resulted in all yardarms being removed except for one gaff on the foremast. Thus, when she suffered propeller shaft breaks in 1893 and 1896, she was powerless until temporary repairs could be made at sea. Umbria saw military service as an armed merchant cruiser for six months in 1885 and as a Boer War troop carrier in 1900-1901. 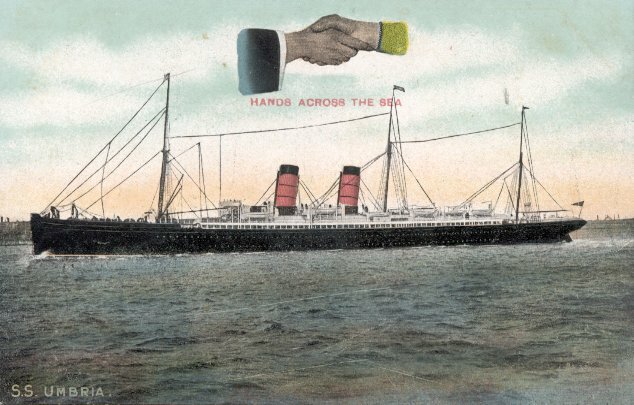 By the time she returned to Cunard service in 1901, all square rigging had been removed, and she appeared as she is shown here, with pole masts only. 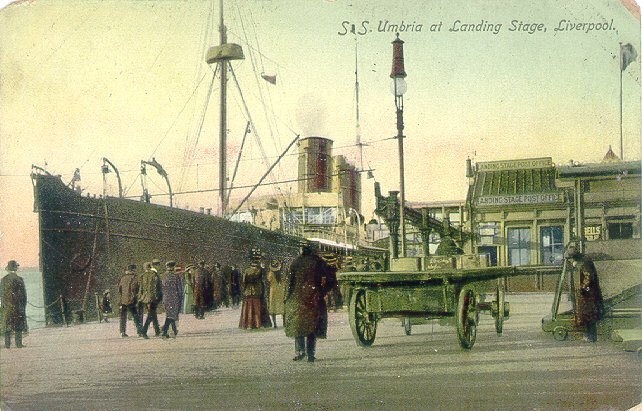 Umbria was scrapped in 1910, after making her last Atlantic crossing in February of that year.